Can you believe that Thanksgiving is almost here? Yes, soon we’ll be busy baking and roasting, peeling and carving our gorgeous Thanksgiving feasts. And in amongst all that grocery shopping and cooking, we can’t forget to decorate for the big event! I purchased my supplies at Hobby Lobby, using their great 40% off coupon. They also run sales on their scrapbooking supplies all the time, so you will probably be able to get some cute paper for as little as $.25 per sheet. 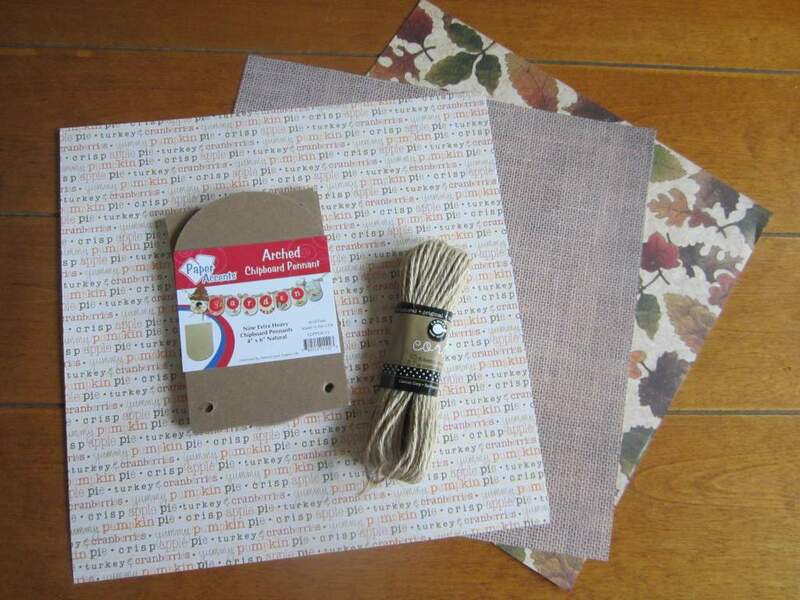 Just pick out a few pages of Thanksgiving or Fall-themed paper…whatever you like…as well as some rope/cord and a chipboard banner kit. 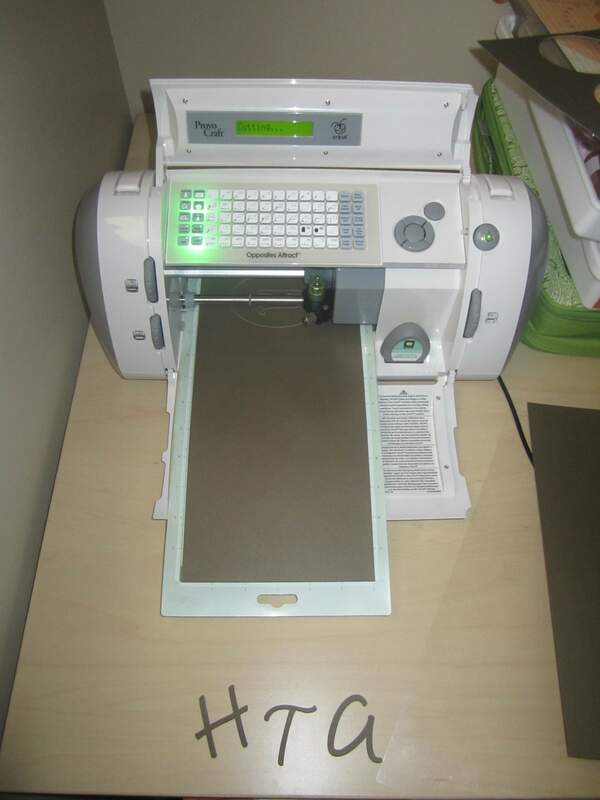 You’ll also need some adhesive, a hole punch, and some scissors. 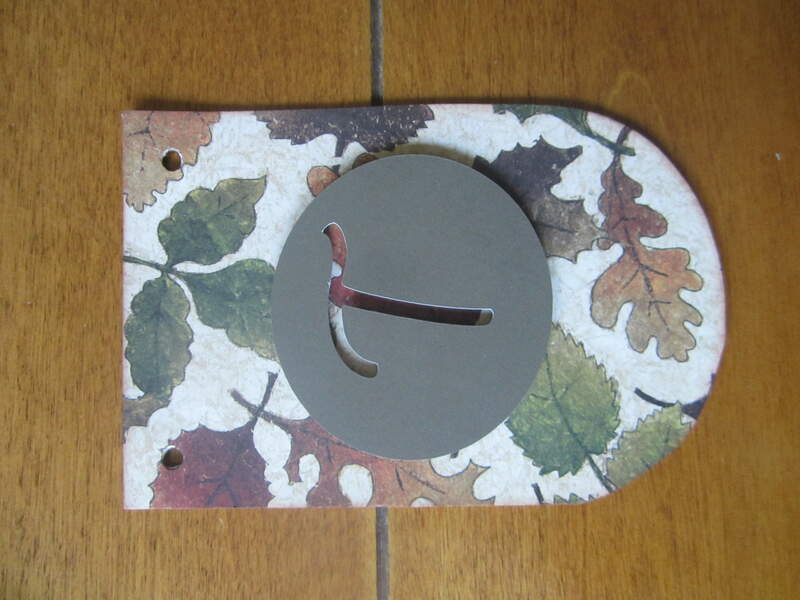 I used my Cricut with the Opposites Attract cartridge and some coordinating cardstock to cut out the Thankful letters, but you can just as easily draw your own letters or purchase some letter stickers. Cat’s eye ink and pop dots are optional as well. 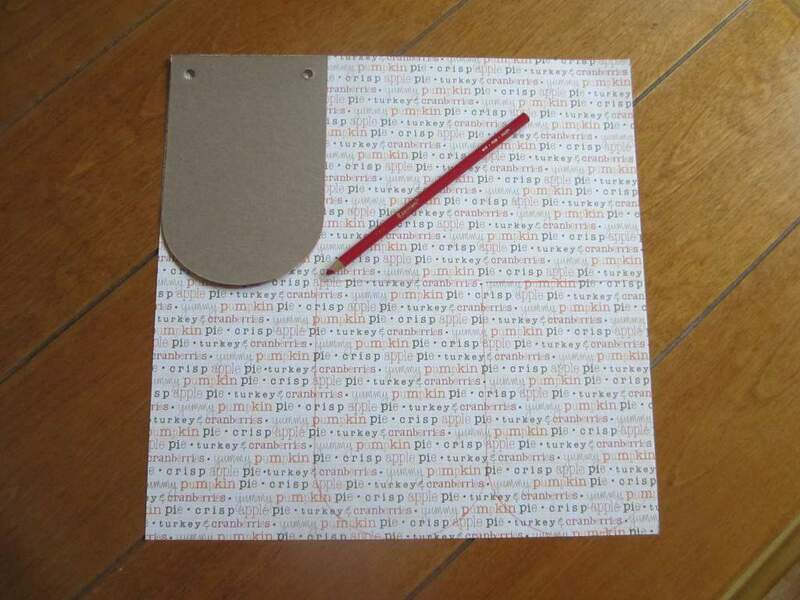 To begin, take one of the chipboard pieces and trace its shape onto your paper. I would usually recommend doing this on the backside of the paper, but in this case, I wanted to make sure that my words were straight and that I didn’t cut them sideways. After cutting out the shapes, I used some cat’s eye ink in Chestnut Roan to ink the sides of the paper to give it that weathered look. 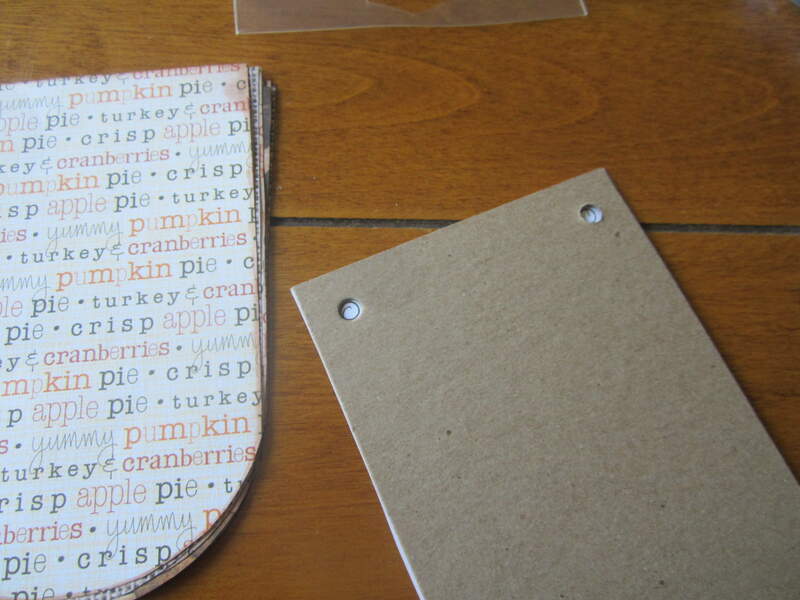 Before you adhere the paper to the chipboard, you will want to take a moment to punch out the holes so that they match up to the ones in the chipboard. I simply laid the chipboard piece on top of the paper and marked where the hole should be. 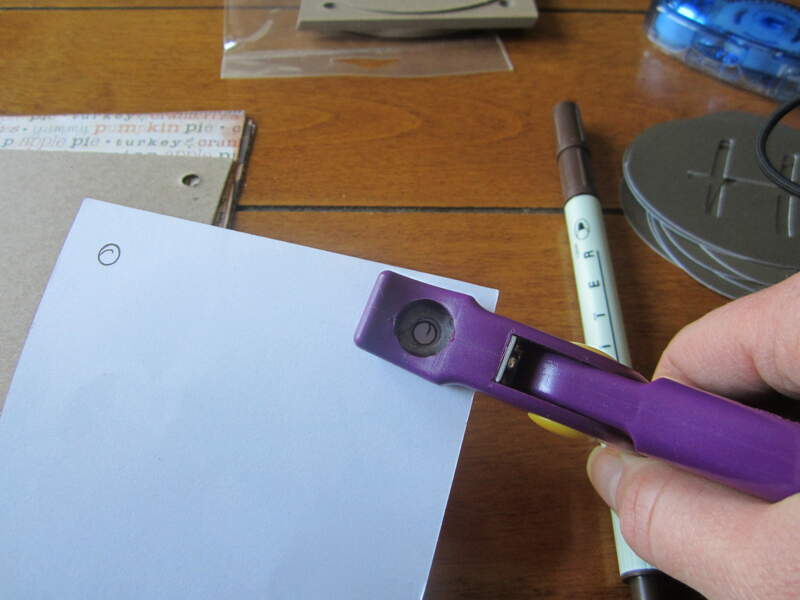 That made it easy to line my hole punch up with the circle to punch perfect holes. 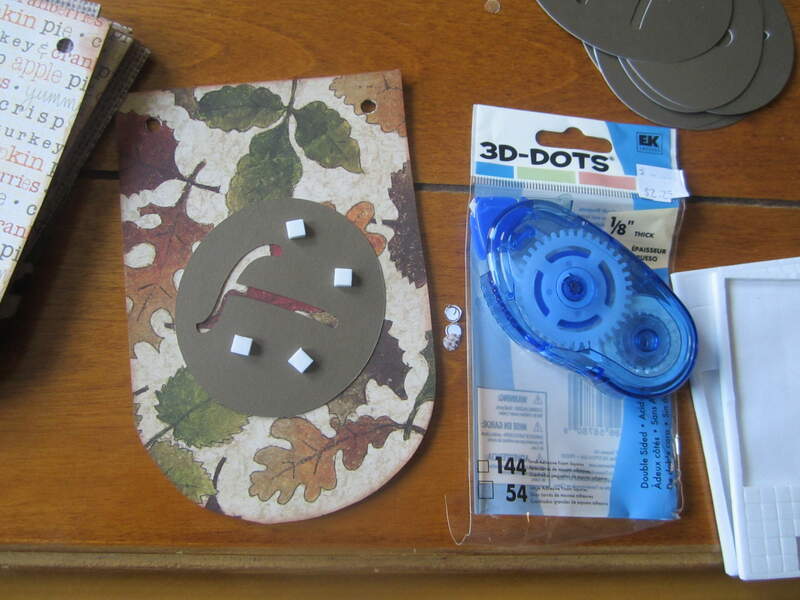 After you punch the holes, glue the paper to the chipboard, making sure to match up both sets of holes. I used my trusty Tombow adhesive on this project, but you can use your kids’ glue sticks to put this together as well. I wanted to make my letters stand out from the chipboard, so I decided to use my pop dots to glue the letters on. I used about 4 dots for each letter, since they were a bit on the large side. 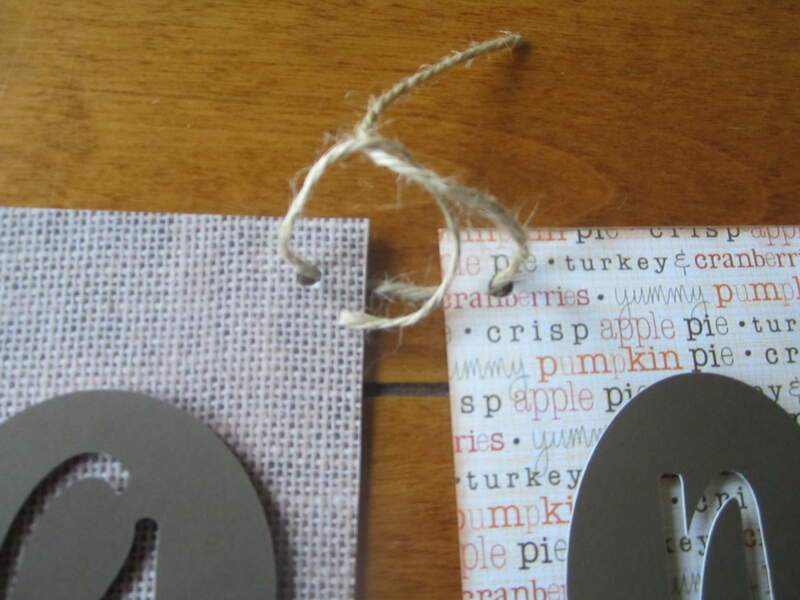 When you have glued all your letters onto their tiles, you will want to tie them together using the cording. I tied my tiles so that they were about an inch apart, using just a regular double knot. I trimmed the ends of the cord and wedged the knot into one of the holes to hide them. You may also want to put a little drop of glue on your knots to make sure that they stay together. I also tied some cording to the end tiles, making sure that the cord was long enough to be able to hang the banner. 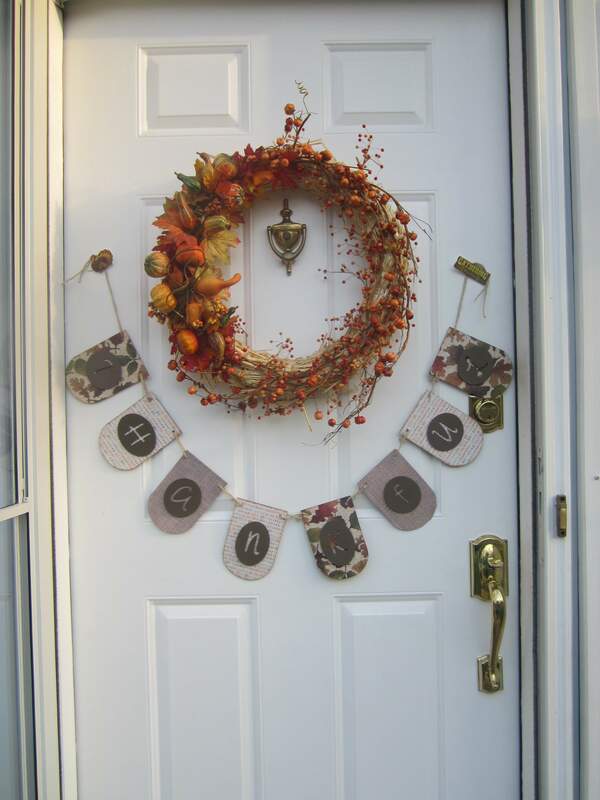 I decided to hang my banner on our front door, under our wreath, to welcome any visitors to our home. 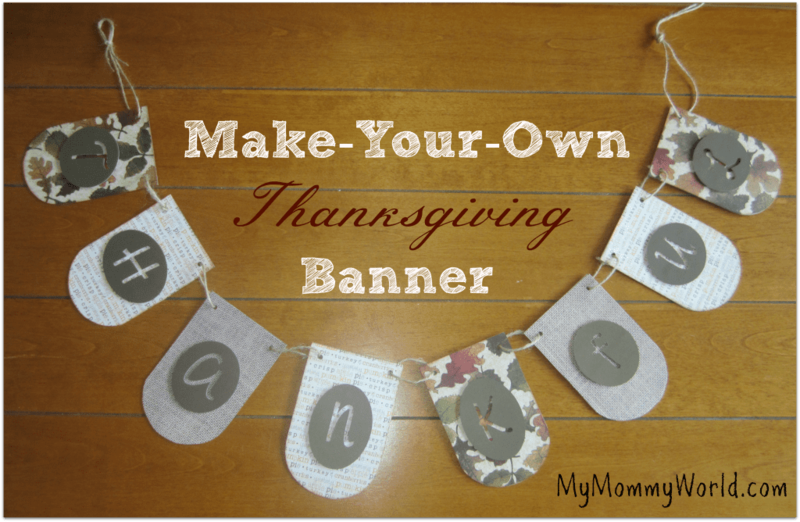 That’s all there is to it…A simple and frugal way to decorate your home for Thanksgiving! 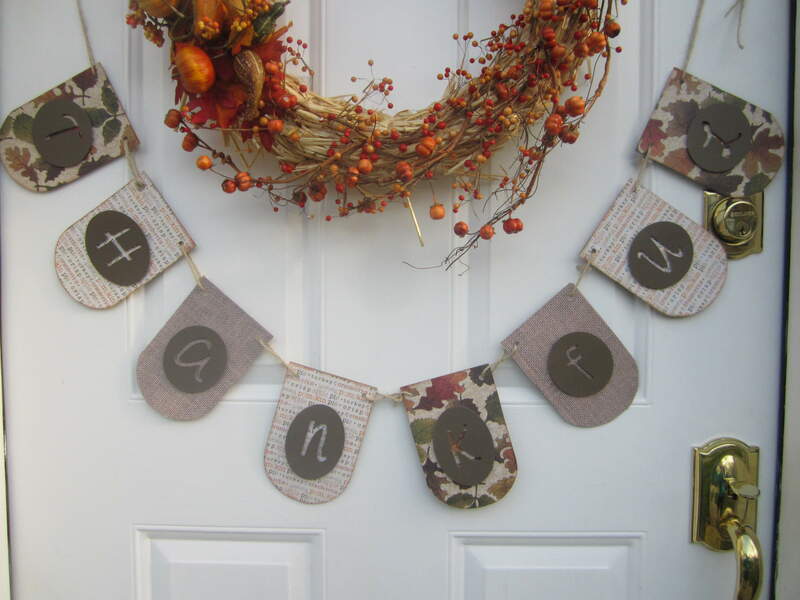 How do you like to decorate for Thanksgiving? Please share your comments below…I’d love to hear your ideas!